"Where...are the young Buddhists of today who should be inheriting the dharma from the older Buddhists? Are they like me, do they share the same questions and interests? If they exist, what kind of sangha are they creating? What does it mean to be a Buddhist in America today and where will we take it tomorrow?" These questions, and many more, drive the content of the book. It consists of almost 30 essays written by young (20s and 30s) men and women that identify themselves as Buddhist, or at the very least students of Buddhism. They provide their own take on how they integrate Buddhism into their contemporary lives. One talks about running as part of his Buddhist practice, others discuss personal relationships, career, and meditation. Many share stories of their family's relationship to their Buddhist practice. 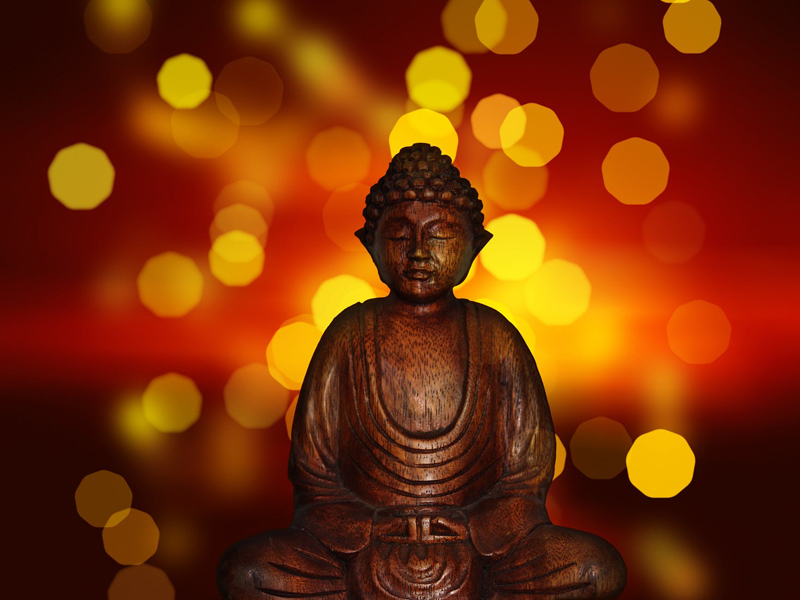 Others discuss how Buddhism shapes their social and political views and agendas. "It's not that one needs to have a spiritual partner to develop a good relationship, but rather a good relationship can be a springboard for developing oneself spiritually." Another favorite was Noah Levine's "A Dharma Punx Path", (later expanded into the popular book Dharma Punx) in which he describes his struggles with drug addiction, and how he gradually overcame them through his Buddhist practice, coming to realize that "all of my actions have always been aimed at finding happiness; whether it took the form of addiction and rebellion or dharma practice and service, my intention has always been to find freedom." This book is decidedly Western, although the author makes a point of including several Asian-American Buddhists (including some monastics.) All the major branches of Buddhism are included, both Theravada and Mahayana, and within the latter Zen, Tibetan, Nichiren, and other Buddhist branches. Some of the contributors were raised Buddhist, while others turned to Buddhism in their teens or early 20s. Blue Jean Buddha does not attempt to compare, contrast, or judge any of these traditions, nor does it attempt to teach them - you won't find an introduction to Buddhism here. Instead, this is many different people's views on the role Buddhism plays in their life, and how it integrates into a modern setting and lifestyle. In that sense, it will probably be of most value to those who are already practicing or at the very least exploring, Buddhism. That being said, I originally picked up this book because I was looking for something to recommend to teens interested in Buddhism. Although this would not be my first choice for that, I do think it would be a great book for older teens that have already begun to explore Buddhism through other means. Overall, a fascinating look at young and evolving Buddhism in the West.